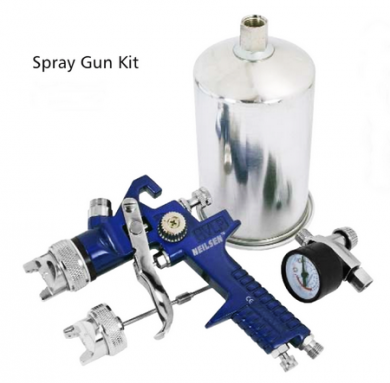 Neilson gravity feed spray gun supplied with two set-ups, a 1.4mm nozzel for most spraying jobs and a 2.0mm nozzel for primers and composites containing fillers. The supplied regulator can be fitted on or close to the gun for instant adjustment while working. As with all Neilson products this gun is extremely well made and excelent value for money. Air Regulator Valve And Guage.